I wrote a review for Imagine by Steve Turner and said that book along with the Bible and a couple of others that every Christian who loves the arts and literature should have in their library. 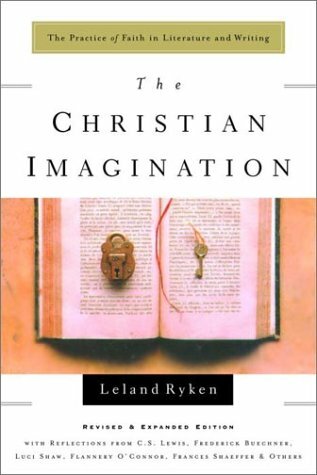 Well, I’m adding The Christian Imagination edited by Leland Ryken to that list. This book presents and argues effectively the importance of literature in a Christian’s life. It has essays from Tolkien, C.S. Lewis, Annie Dillard, Francis Schaeffer, Flannery O’Connor, Walker Percy, and T.S. Eliot that covers everything from fiction to poetry to the defense for the pleasure of reading and how the imagination can strengthens one’s faith. As you can read from those quotes that nothing is off-limits concerning the role of literature in our daily walk as a Christian. I can not recommend The Christian Imagination highly enough to everyone who loves who literature and I believe these book of essays should not be read in one setting but over time in order to digest the truths these great writers have given us. Thanks – Enjoyed this post, how can I make is so that I get an alert email when you write a fresh update? Just subscribe to the blog and you will get an alert when I post something new.